Have you ever tried a Starfruit? When Pat and I were on our honeymoon in St. Lucia, they had it everywhere. It has the consistency of an apple and tastes more tart than sweet. so I decided to pick up a few to take home. I'm with Sarah, tho I do eat starfruit, but I'd prefer bacon and pancakes. 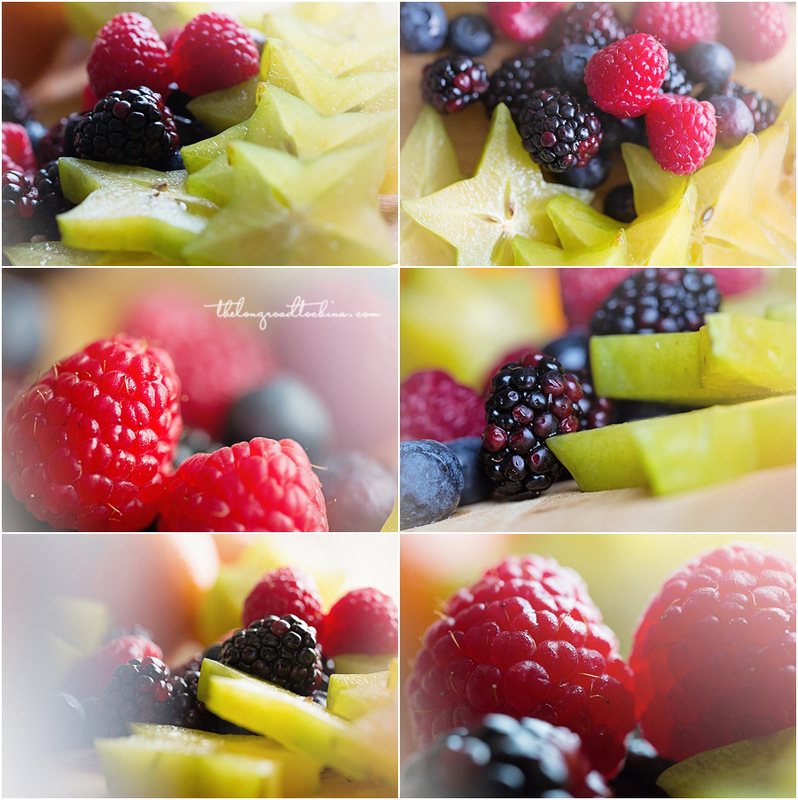 Your food photography is so beautiful Lisa! Beautiful shots!!! So you make your collages everytime or do you have templates? Have you every used MCP magic blog collages? It's so much fun when they all have different tastes... isn't it? :) Awesome pictures! So beautiful. They look yummy! Mmmm...I love Star Fruit. I remember the first time I had it was when my second grade teacher brought it to school to share with all of her students. Yummy! You know I looooove Berries. ;)the star fruit looks fun too.